Museum exhibits: Tues.- Sat., 1:00 - 4:00 PM; Business Office: Mon.-Fri. 9am - 4PM. 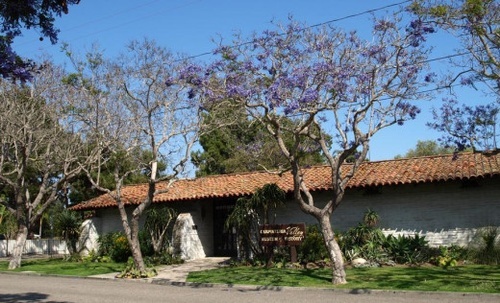 The Carpinteria Valley Museum of History sponsors its Museum Marketplace on the last Saturday each month January through October, from 8:00 a.m. to 3:00 p.m. on the beautiful museum grounds at 956 Maple Avenue. 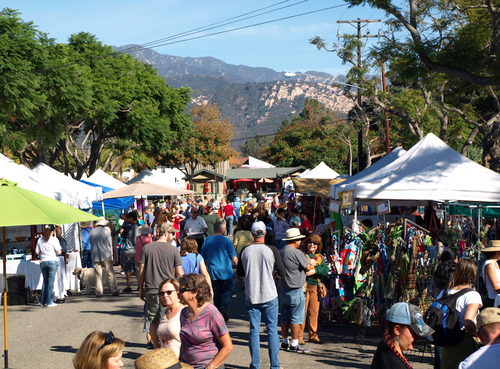 The popular monthly market features 75 vendors with great bargains on antiques, collectibles, plants, hand-crafted gifts, and vintage goods of every description including jewelry, house wares, furniture, clothing, toys, books and much more! The Museum Gift Shop carries a variety of “old-fashioned” toys and games, including wind-up tin toys—robots, planes, trains, and autos, plus, wooden pop-guns, dominoes sets, paddleball, and harmonicas. Donated handicrafts add a nice homespun touch to the shop, which includes embroidered tea towels, festive pot-holders, and knitted scarves. And don’t forget our custom T-shirts with the old Beach Auto Camp logo from the 1920s. 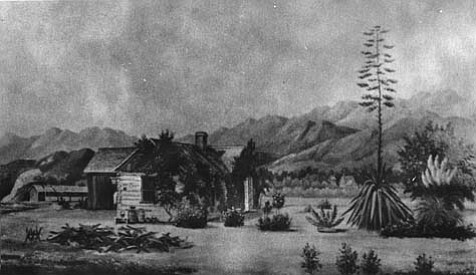 From our great selection of books on local history to Carpinteria Then and Now and Carpinteria At 50 DVDs, you’re sure to find a great gift for the history lover in your life! Hwy 101 North:exit Casitas Pass Rd, turn left;1 block turn right on Carpinteria Ave; 3rd st. turn left on Maple Ave. Hwy 101 South: Exit Linden Ave turn right; left on Carpinteria Av, rt on Maple Ave.